We have been using the eco egg for a few months now. Really can't fault it. Works as well as any washing powder, but so much better. The eco egg really works. It has cleaned my clothes - no stains left. So I’m happy. My sister recommended this to me and I'm so glad she did I love it. No more need for washing powder it's fantastic. I have sensitve skin and find certain detergent irritates it. 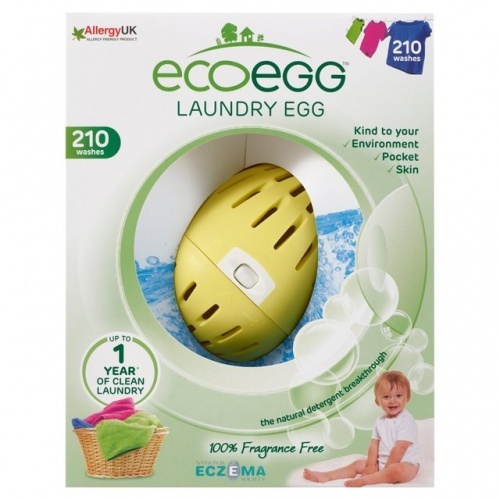 But because the Eco Egg is a natural detergent I've had no issues at all so would recommend it to others. 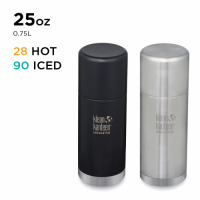 I was really excited to receive this item, both from an economical and environmental point of view it is a wonderful product. 1. It doesn't remove heavy dirt or stains, something I knew before buying but is still an inconvenience. 2. I felt that the packaging was excessive. it doesn't make sense to me that all the pellets come in individual bags when 3 of the packets go into the egg immediately. All the packaging is recyclable but I feel it would be better if it was altogether reduced. My order arrived the next day as promised, no plastic was used in the company's packaging and there was even a cute note on the invoice! I would still recommend purchasing this product as it will save me lots of money! 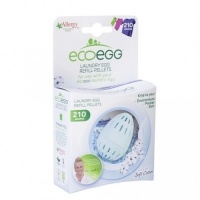 Absolutely delighted with the Eco egg, the clothes are clean and smell lovely too! I would definitely recommend this product. We are using the eco egg a couple of weeks now, and it seems to be doing a good job. Better than I expected at getting out stains. I am very happy with this product, we have carer's who come in to help and they having seen it are ordering for themselves. 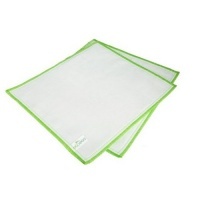 which for me is a great plus to see more Eco products been used.